An abducted soul. A lifetime of sins. A journey to the depths of despair. Based on the immensely influential classic poem, Dante’s Inferno takes you on an epic quest of vengeance and redemption through the Nine Circles of Hell. You are Dante, a veteran of the Crusades who must chase his beloved Beatrice and try to free her soul from Lucifer’s grasp. As your pursuit takes you deeper into the pits of Hell, you must battle ever more fierce and hideous monsters—while also facing your own sins, a dark family past, and your unforgivable war crimes. Go to Hell. 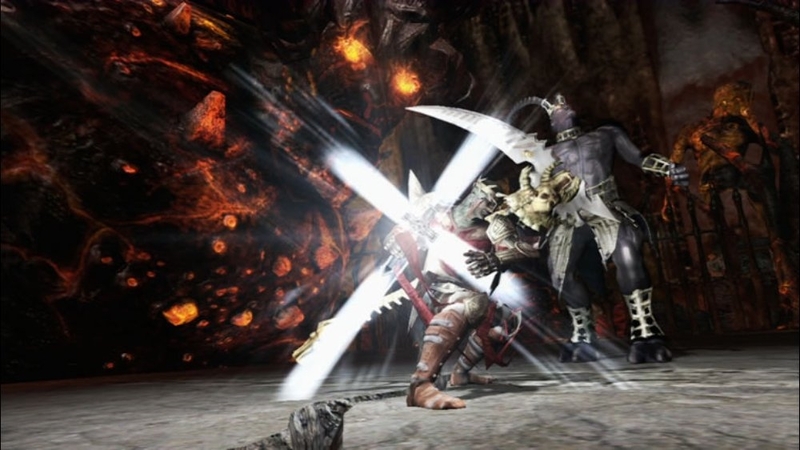 Gear up to face the forces of Hell with this Dante costume. There are no refunds for this item. For more information, see www.xbox.com/live/accounts. Dress up as the innocent Beatrice with this costume. There are no refunds for this item. For more information, see www.xbox.com/live/accounts. Show your support for the holy hero with this Dante's Inferno t-shirt. There are no refunds for this item. For more information, see www.xbox.com/live/accounts. Dante's helmet will protect you in any holy endeavor. There are no refunds for this item. For more information, see www.xbox.com/live/accounts. Phlegyas from the Circle of Anger will take you to the City of Dis. There are no refunds for this item. For more information, see www.xbox.com/live/accounts. Show your support for the holy hero with this Dante's Inferno cap. There are no refunds for this item. For more information, see www.xbox.com/live/accounts. This pack includes the ‘Putrid Voice’ magic ability as well as the ‘Panderer’s Lash’ relic that augments this unholy power. There are no refunds for this item. For more information, see www.xbox.com/live/accounts. This pack includes the ‘Heavens Embrace’ holy magic ability as well as the ‘Serpent of Thieves’ relic that unlocks a special scythe move. There are no refunds for this item. For more information, see www.xbox.com/live/accounts. This pack contains three relics: ‘Paolo’s Heart’ for turning souls into mana, ‘Wing of Furie’ to increase the hit counter on your scythe, and ‘Brain of Ruggieri’ to allow you to dodge-roll from any special combo. There are no refunds for this item. For more information, see www.xbox.com/live/accounts. The Dark Forest pack includes the Disco Inferno costume, Stone of Wrath relic, and a prequel level featuring new enemies, puzzles, and storyline! There are no refunds for this item. For more information, see www.xbox.com/live/accounts. 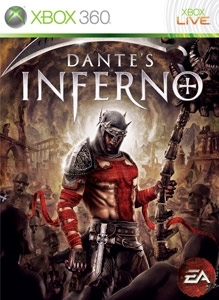 Dress Dante as one of the heroes from Starz Media’s animated feature film based on EA’s Dante’s Inferno™ video game. There are no refunds for this item. For more information, see www.xbox.com/live/accounts. Contains 500 souls. You can use souls to purchase and upgrade either Dante’s holy or unholy abilities. Dress Dante as the famous Italian poet of the Middle Ages, Dante Alighieri. Part one of his poem The Divine Comedy serves as the backdrop for EA’s action-adventure epic Dante’s Inferno. There are no refunds for this item. For more information, see www.xbox.com/live/accounts. 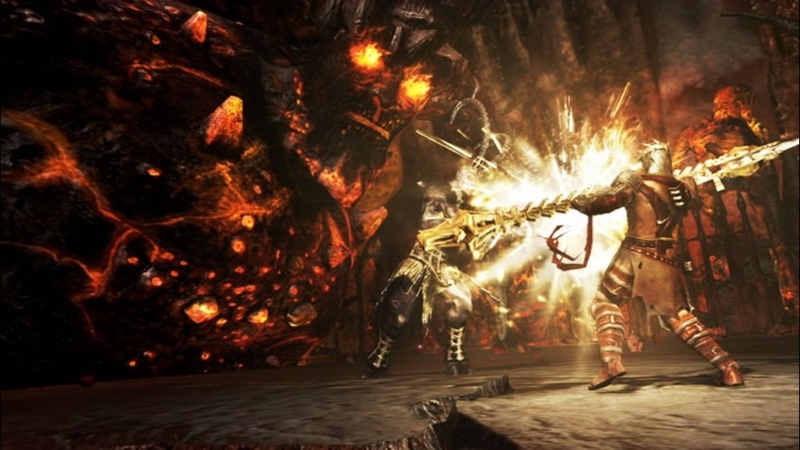 Explore Treachery, the final circle of Hell. Contains 3000 souls. You can use souls to purchase and upgrade either Dante’s holy or unholy abilities. There are no refunds for this item. For more information, see www.xbox.com/live/accounts. Contains 5000 souls. You can use souls to purchase and upgrade either Dante’s holy or unholy abilities. There are no refunds for this item. For more information, see www.xbox.com/live/accounts. Contains 1500 souls. You can use souls to purchase and upgrade either Dante’s holy or unholy abilities. There are no refunds for this item. For more information, see www.xbox.com/live/accounts. "You are Dante, a veteran of the Crusades who must chase his beloved Beatrice and try to free her soul from Lucifer’s grasp. As your pursuit takes you deeper into the pits of Hell, you must battle ever more fierce and hideous monsters—while also facing your own sins, a dark family past, and your unforgivable war crimes. Go to Hell." There are no refunds for this item. For more information, see www.xbox.com/live/accounts. Explore Violence, the seventh circle of Hell. Explore Fraud, the eighth circle of Hell. 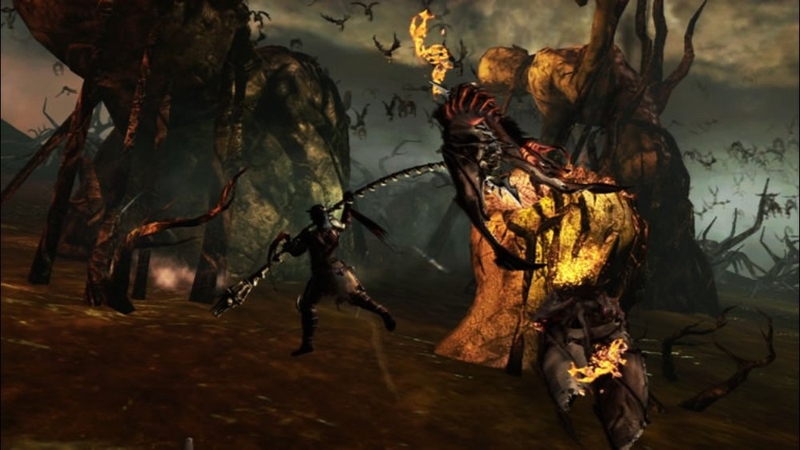 (Online Interactions Not Rated by the ESRB) Dante's Inferno The Gates of Hell Demo - Discover an epic adventure based on the first part of Dante Alighieri’s masterpiece, “The Divine Comedy”. Playing as Dante, you must defeat Death and arm yourself with his scythe as you prepare to descend into the nine circles of Hell and rescue the soul of your beloved Beatrice from Lucifer himself. This set includes Anger, Heresy, Violence, Fraud and Treachery from Dante’s Inferno. There are no refunds for this item. For more information, see www.xbox.com/live/accounts. This set includes images of Dante in various forms following his journey through the 9 circles of Hell. There are no refunds for this item. For more information, see www.xbox.com/live/accounts. This set includes Death, Limbo, Lust, Gluttony and Greed from Dante’s Inferno. There are no refunds for this item. For more information, see www.xbox.com/live/accounts. "You are Dante, a veteran of the Crusades who must chase his beloved Beatrice and try to free her soul from Lucifer’s grasp. As your pursuit takes you deeper into the pits of Hell, you must battle ever more fierce and hideous monsters—while also facing your own sins, a dark family past, and your unforgivable war crimes. Go to Hell." 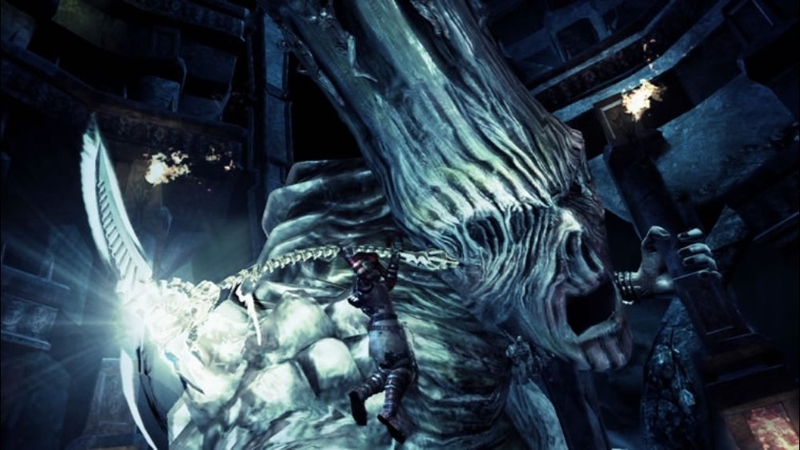 Explore Heresy, the sixth circle of Hell.